A new generation of space vehicles capable of economically delivering payloads and researchers is coming on line in 2012 and 2013. These vehicles will revolutionize space access by providing frequent, low-cost access to space, and the capability to carry research and education crew members―thereby simplifying and further reducing the cost of experimentation in space. They will also carry automated experiments for technology and TRL-raising demonstrations, for educational/public outreach, and for atmospheric science, solar physics, microgravity science, planetary science, space life science, space physics, and education and public outreach (EPO). 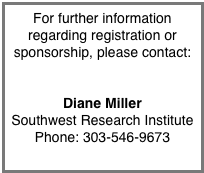 NSRC-2012 will provide a forum for researchers, educators, and other users to learn about the research and EPO capabilities of these new systems, their experiments, and EPO integration processes. NSRC-2012 will also provide the user community for these vehicles a key opportunity to make inputs on vehicle design and operational requirements. 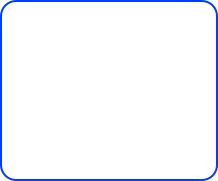 - To further demonstrate strong interest by US domestic and international researchers and educators to NASA, industry, DoD, the National Institute of Health (NIH), the U.S. Geological Survey (USGS), the National Science Foundation (NSF), and other potential funding entities for REM applications. 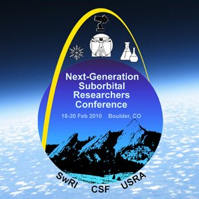 The 3-day NSRC-2012 conference will include over 100 invited and contributed talks, as well as keynote addresses, and a series of discussion panels. 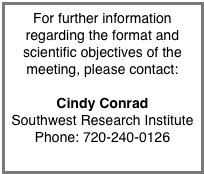 The meeting will also include a press conference, a poster session and a NASA Flight Opportunities Program Workshop. Click here to see this years program!. 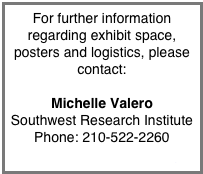 Abstracts must be limited to 1 page, in black and white only (no color figures), and submitted in pdf format. 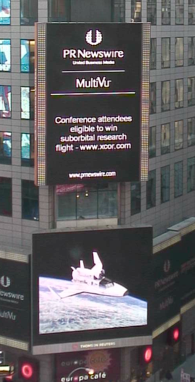 The abstract deadline is December 2, 2011. 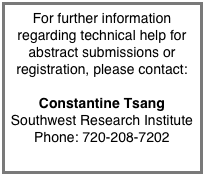 Upload an abstract now. Thank you all for making NSRC-2012 the best yet! 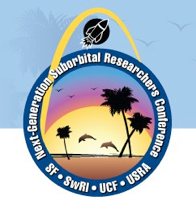 See you at NSRC-2013!